and accountability. It is in face-to-face encounters that we find the crucial ingredients to growth and blessing. It is face-to-face that our most important interactions occur. Unfortunately our society is becoming a faceless society. 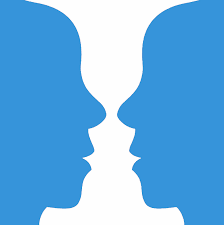 It is now possible and increasingly probable that an individual will go an entire day without interacting face to face with another human being. With our cell phones, computers, e-mails, chat rooms, web logs, text messaging, and instant messaging, we can interact with the world without leaving our room. that it’s almost impossible to assess its ultimate psychological cost. Only four decades ago, half a lifetime, daily life was different in so many conventions of communication. A phone was anchored to the wall, an instant message was a hand-delivered greeting card and a blind date took place in a restaurant. Today, more than ever, we need to gather weekly (at least) for a life-changing, transforming, face-to-face encounter with God. God reveals Himself in many ways to us, but the primary way that He comes to us is through our brother or sister in Christ. When we come face-to-face with another believer—we come face-to-face with God. There is no substitute for worship, small group Bible studies, and fellowship groups. They are absolutely crucial to our walk with God. You can’t be a Lone Ranger Christian. We were created to be in community. In our face-to-face encounters with each other we are encouraged, affirmed, built up, and edified. There are also times in those encounters when we will be held accountable for faulty thinking or disobedience to our Lord. It is face-to-face that we are corrected or rebuked and inspired to change our behavior and do the right thing. We all live busy lives with many obligations and responsibilities. Sometimes it is impossible to come to church on a Sunday morning or attend a weekly Bible study. But we must make it a priority. In this increasingly faceless society in which we live, we must be the body of Christ, called and committed to community.